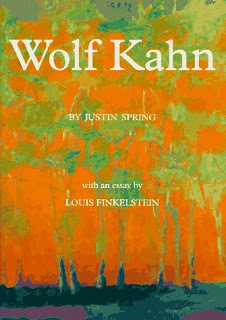 Wolf Kahn, by Justin Spring. 1996. 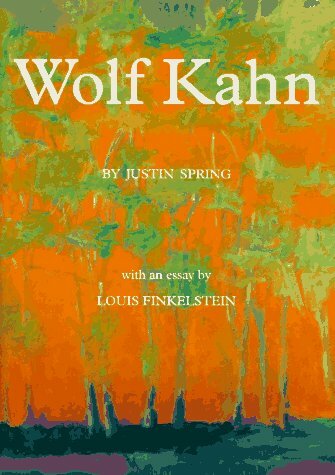 For some reason I have been looking at Wolf Kahn's early works, mostly in my copy of the book by Justin Spring. Why did I overlook these before? Because I am working on subtlety in my studio, Kahn's early monocolors and minimalist works are an inspiration to me. I really love the ones where he just pushes one or two intense colors through a tonalist surface, such as the one titled Sunset, 1967. 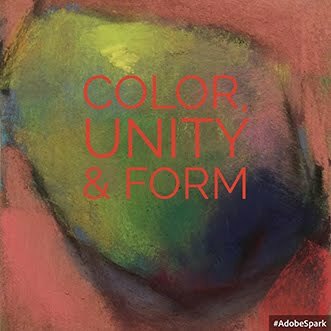 By coincidence, the Jerald Melberg Gallery, in Charlotte, NC, just finished an exhibition of Wolf Kahn's early works, from the fifties and sixties. 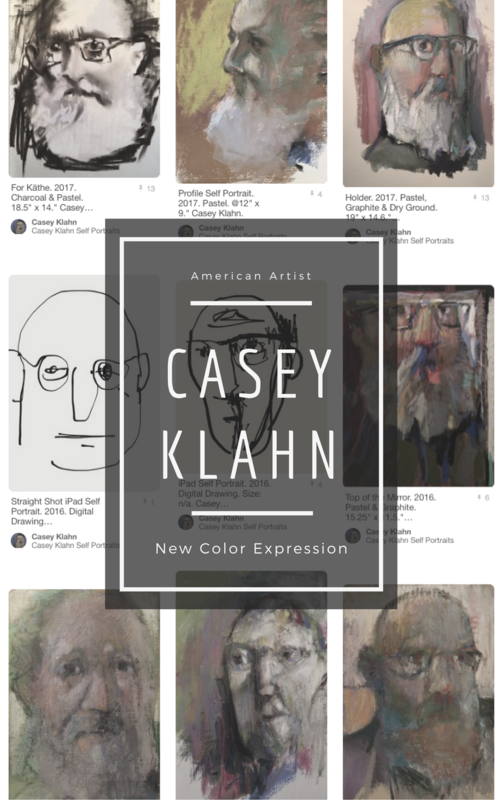 Here is a video series with a very informal interview of Kahn, and if you want to get a better look at some of the paintings, go to the website for the exhibition. Wow, thanks! I've got the book (it's great) but hadn't seen the videos. Can't get enough Wolf! Sam - he's a seriously good influence on our art. Thanks Casey...I wasn't familiar with Wolf Kahn's work. It was so interesting to see him go from very representational to very abstract and then something in between. In addition, I liked how he went from a very active composition to a very simple one. I think these issues a lot myself. And I like the way he discusses the back and forth of these issues. Thanks for reading, Mary. Thankyou for showing this wonderful artist. I know very little about American artists, except those very famous names, so this has been very educational. I'm very impressed by his work and hope to buy the book. I love his pastels especially. Uh oh, Bridget, now I've got you hooked on Wolf Kahn. His work is addictive to me, anyway. Kvan - I'm glad you saw them. I think he's talking to younger artists with these things. I was encouraged, too. Just went to a showing of Wolf Kahn's work. 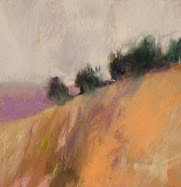 I have loved his style of paintin for sometime however I had never seen any in person....it took my breath away. You are lucky to be in Maine, Suzanne. I had to go to NYC to see his pastels up close. His later and current work is a study in good brushwork, I'll bet. Just came across these videos last week. I love how "real" he is. He doesn't talk a lot of fluff, just tells it like it is. His work Is amazing. Glad to find your blog, I started mine in December & I'm really enjoying it. I will visit again. Hi, Cecily. I enjoyed visiting your blog, too. LOVE the videos---thanks for sharing them. I don't know..am I on your blogroll? I love the big list of what you have been doing. Everytime I visit your blog I think, MAN. THIS is how I should handle my blog. You are a blogging king. BTW, super nice photo of you. You're an arty looking guy. Celeste - I will double check the blogroll. I added Kvan yesterday - can you imagine me overlooking her? I am the laziest blogroll fellow, although it is working easier with my extra high speed connection. Thank you on the pic. My wife Lorie did this session of me in my dad's Filson cruiser. Trying to be Andrew Wyeth, there. Good having a spouse photographer, huh? Very interesting interview - thanks for posting the links. I have 4 books on Kahn's work but it was special to see the man and hear his words. You have the books, too, Randall? I thought I was the only WK freak around - looks like there are others. His video record is pretty thin. I wish he'd do more, but he is too busy in that incredible Manhattan studio!